Vanish scars and shipping with any $49 purchase! Wash the affected area and pat dry. Apply a very small amount of Cimeosil® Scar and Laser Gel with a clean fingertip on the affected area. Take care to gently wipe away the excess. Use sparingly as excessive amounts may stain bedding or clothing. Apply twice daily in the morning and before bedtime. 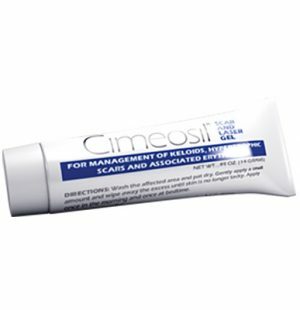 After proper application Cimeosil® may be covered with a blush or other camouflaging cosmetic. 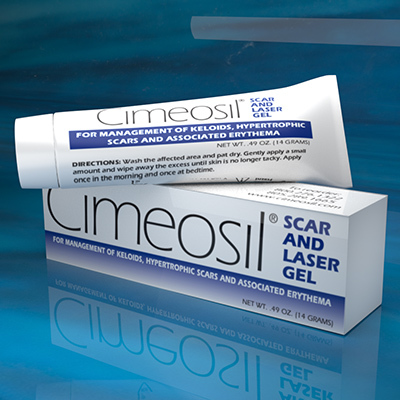 WARNING: Care should be exercised to avoid getting Cimeosil® Scar and Laser Gel in the eyes or mucus membranes. Care should be taken when using this product on newly healed tissues. Not for use on open wounds, or infected areas. Cimeosil® Scar and Laser Gel should be used under the supervision of a surgeon or licensed esthetician. Patients should see their physicians for regular follow up visits after undergoing any surgery or treatment for trauma. Sign up to be the first to know about exclusive offers, the newest products, and more!